Is there anything better for a teacher’s self esteem than the genuine appreciation of their students? 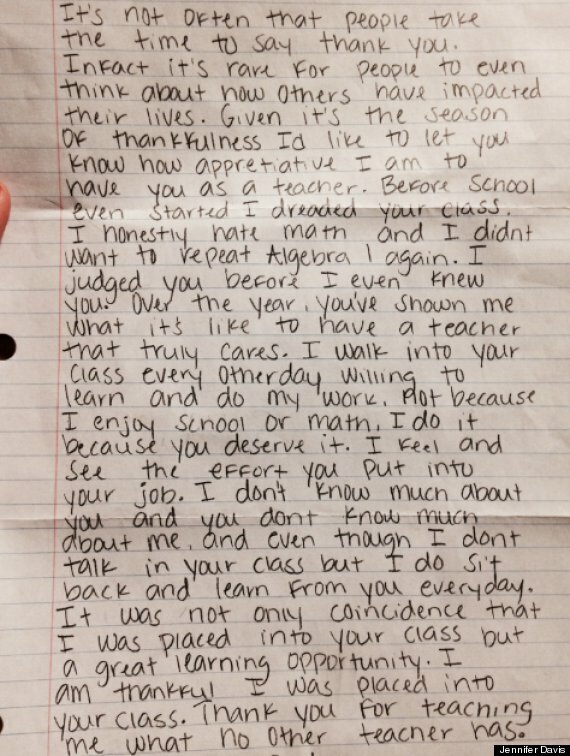 Below is a letter math teacher Jennifer Davis received from one of her students. Click on the link to read The Short Video You MUST Watch! This entry was posted on December 21, 2013 at 11:32 pm and is filed under Inspirational Teachers. You can follow any responses to this entry through the RSS 2.0 feed. You can leave a response, or trackback from your own site.